It looks as if things could get very busy here at the Mojave Air and Space Port in the coming weeks with a possible pair of historic milestone flights. 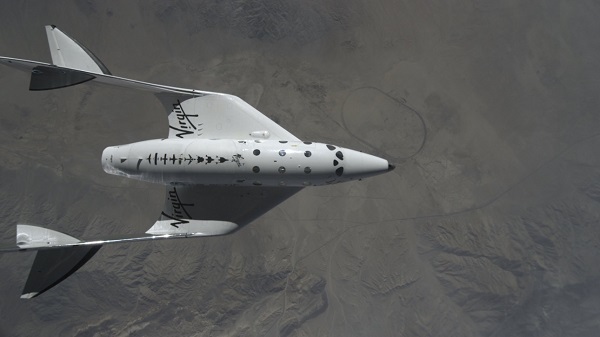 Sir Richard Branson has said he expects SpaceShipTwo Unity to make a flight into space before Christmas, which is just over two weeks away. Sources say a flight is highly likely barring technical or weather delays. Parabolic Arc has also heard that Stratolaunch could attempt the historic first flight of its massive carrier aircraft before the new year. Microsoft co-founder Paul G. Allen — who funded private spaceships, one of the largest aircraft in the world, and the search for life elsewhere in the Universe – has died of non-Hodgkin’s lymphoma. He was 65. “It is with deep sadness that we announce the death of @PaulGAllen, our founder and noted technologist, philanthropist, community builder, conservationist, musician and supporter of the arts, All of us who worked with Paul feel an inexpressible loss today,” Allen’s company, Vulcan, Inc., announced in a tweet. Allen poured the billions he made from Microsoft into a number of business and philanthropic ventures, including three space projects. 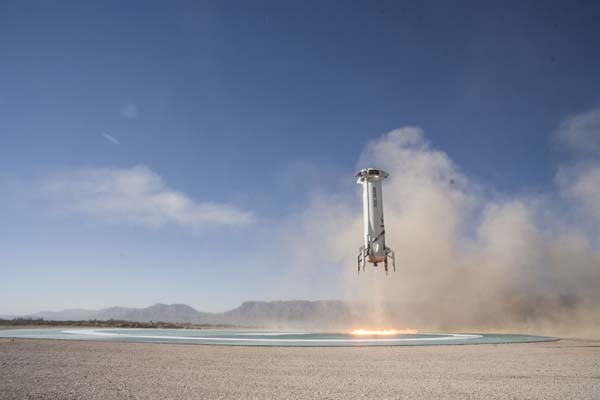 He spent $28 million to back Burt Rutan’s entry in the Ansari X Prize, a $10 million competition for the first privately-built crewed vehicle to reach space twice within a two-week period. The aircraft, which has a wingspan of 385 ft (117.3 m), was towed backwards along the runway before being returned to its hangar. 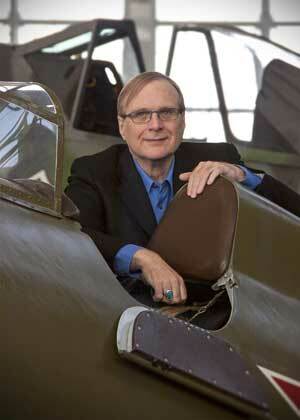 Scaled Composites built the aircraft with funding from Microsoft billionaire Paul Allen. Wired has an entertaining story by Steven Levy about what Paul Allen and the team at Scaled Composites have been doing with Stratolaunch, whose enormous carrier plane nicknamed the Roc but also know as Composite Goose, Carbon Goose, Birdzilla and Stratosaurus. SEATTLE, Wash. – August 20, 2018 (Stratolaunch PR) – Stratolaunch announces today its new family of launch vehicles that will enter regular service starting in 2020. The company’s unique air-launch system will use the world’s largest aircraft as a mobile launch platform, capable of deploying launch vehicles that will carry satellites to multiple orbits and inclinations on a single mission. With these new vehicles, Stratolaunch is poised to make access to space convenient, affordable, and routine. What is it that keeps the Mojave Air and Space Port operating? 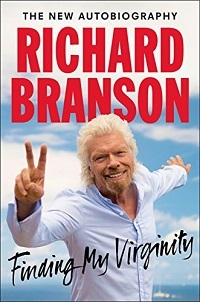 Is it Richard Branson’s SpaceShipTwo? Paul Allen’s monster rocket launching airplane they call Birdzilla? Mojave’s amazing amenities and it warm, welcoming atmosphere that lead people to call it the Mayberry of the West? It’s the last thing one would expect in conservative, oil-rich, get government off our back and let us do our own thing Kern County, the Texas of California. The Washington Post has a story about Stratolaunch that contains this interesting piece of news from backer Paul Allen and CEO Jean Floyd. 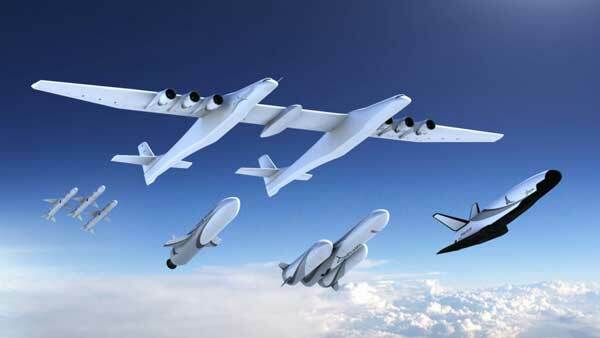 But Allen has even bigger ambitions for Stratolaunch and is considering pairing it with a new space shuttle that’s known inside the company as Black Ice…. 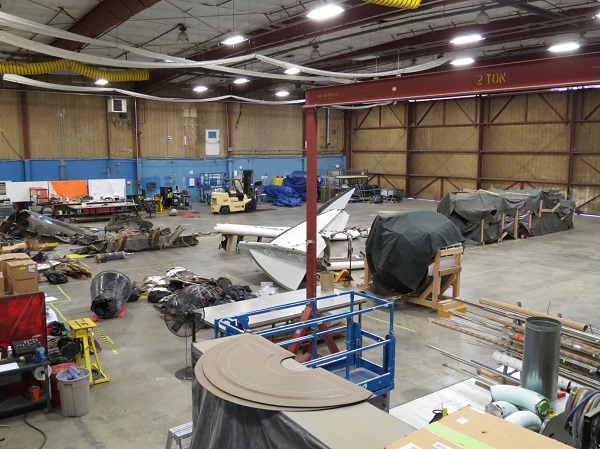 “I would love to see us have a full reusable system and have weekly, if not more often, airport-style, repeatable operations going,” Allen said in an interview in his Seattle office. Video Caption: The aircraft development team performed regression testing at the Mojave Air & Space Port on February 24-25, 2018. Ground speeds ranged from 10-40 knots during the test series. Greetings from Ice Station Mojave! We’re in the midst of what they call a polar vortex, so this week has been particularly cold. Today I believe it reached a high of only 43 F (6 C) and tonight we’re looking at a low of 23 F (-5 C) overnight. The winds were blowing off the mountains at 33 mph (53 kph) and gusting this morning and continued throughout the day. Up until a couple of weeks ago, the winter had been rather dry and mild, especially compared with the cold, wet one we had last year. But, Old Man Winter has returned with an icy fury. Despite the weather, Ken Brown and I ventured over to the spaceport to see the Stratolaunch aircraft parked outside its hangar with a fuel truck parked next to it. It’s quite a jaw-dropping sight to see outside in the wild, positively Spruce Goosian in its size and ambition (and, hopefully not, in its flight history). It ain’t nicknamed Birdzilla for nothing. There are NOTAMS (Notice to Airmen) posted for Saturday and Sunday that indicate the tower will be open (unusual for the weekend) and Runway 12/30 is closed (ditto). So, I’m expecting Stratolaunch will be out on the runway doing some additional taxi tests. I’m guessing it’s too early for a flight by the Paul Allen-funded aircraft. Driving past Virgin Galactic’s FAITH hangar on the way back from viewing Stratoluanch, I noticed a Spaceship Company logo on the building that I had not seen before. Word is TSC is going thru a re-branding to separate it from Virgin Galactic. Richard Branson has been talking up supersonic passenger planes that he wants to build. The Virgin Group has a memorandum of understanding with the government of Saudi Arabia for $1 billion investment in The Spaceship Company, Virgin Galactic and Virgin Orbit. So, I imagine we’ll soon be seeing some new public relations materials from Virgin in the form of a video, press release, and so on announcing the re-branding. 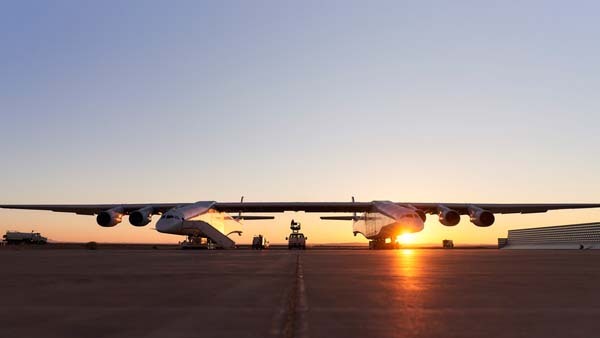 MOJAVE, Calif. (Scaled Composites PR) — This past weekend, the Scaled test team successfully executed a low speed taxi test of the Stratolaunch aircraft. During this initial taxi test, the aircraft moved down the runway under its own power for the first time. These first test points have demonstrated the fundamental ability to control the aircraft speed and direction on the runway. 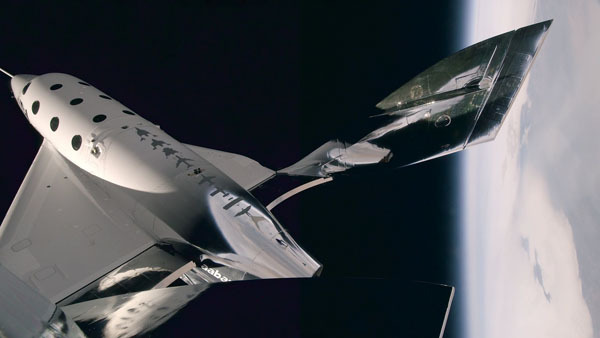 Pete Siebold and Mike Alsbury heard the sound of hooks disengaging and felt a sharp jolt as SpaceShipTwo was released from its WhiteKnightTwo mother ship. Relieved of a giant weight, WhiteKnightTwo shot upward as the spacecraft plunged toward the desert floor. “Fire,” Siebold said as the shadow of one of WhiteKnightTwo’s wings passed across the cabin. The pilots were pushed back into their seats as SpaceShipTwo’s nylon-nitrous oxide hybrid engine ignited behind them, sending the ship soaring skyward on a pillar of flames.